In our last two blog posts, we talked about having “the End in Mind," more specifically being financially-oriented as related to an exit strategy, delved into personal objectives - contrasting topics of lifestyle and income versus effort and wealth, and finally looked at the operational considerations around the structures of the business itself. consider what you’re wanting to build and the reasons behind wanting to build it in the first place. The reason to pump the brakes and consider this very early on should be pretty obvious: if you build a mess, no one’s going to buy your mess. It’s going to be your mess…and your mess for a long, long time. Since we’ve already covered the “Personal” and “Operational” context, let’s tackle the all-important “Philosophical” area in terms how to truly differentiate yourself from the market. WHO are you and WHY do you do WHAT you do? It’s your business. And it’s a blank canvas. It can be whatever you want it to be. But why would someone want to buy something from you? And why would someone want to come work for you? 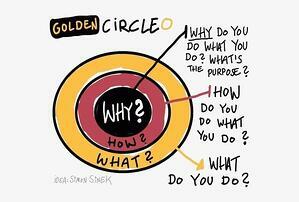 By now probably everyone with an internet connection has seen Simon Sinek’s incredible TED Talk on “the Golden Circle” (which was the predecessor to his best-selling book, Start with WHY). If you haven’t seen the TED Talk or if you want to watch it again, I’ll link to it HERE. We frequently have clients in our office or interact with group practice owners at conferences and ask them a pointed question: “Why did you start this venture?” All too often their response starts off one way, then immediately diverges into a statement of their overall goal to sell the business. Well, OK – we all want to make money and none of us do what we do for free, but reconsider this important point: your WHY will drive your focus, your strategy, and ultimately your financial outcome. 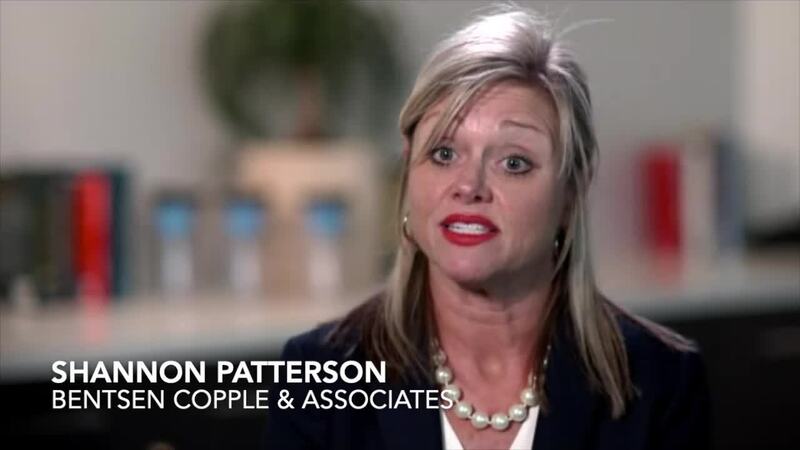 And how about this one: “The goal is to do business with people who believe what you believe.” The phrase “do business” can reflect both your customers (patients) as well as your employees. In today’s world of valuation multiples and millions of dollars, it’s quite alright to build a business that is doctor-driven, culture-first, and patient-centered. And I’m very confident that if you can build that kind of business, it will be worth a lot of money to a prospective buyer. We’ve actually been working with a consultant on our business over the course of the last nine months. Yes, TUSK is a strategic consulting (and M&A advisory) firm, but Kevin, Diwakar and I do look to outside sources to help guide us on how to build a better business every bit as much as some of you look to us for the same guidance for your business. We looked into several different options and happily settled on the Entrepreneurial Operating System (or “EOS” for short). For those who aren’t familiar with EOS, you can find out more about it HERE. I think you’ll quickly see why so many emerging group practices are implementing it themselves. My point here is to let you in on the fact that we (as owners and operators of TUSK) have undertaken the exact same process for the same exact reasons I’m recommending to you. We spent a LOT of time working on our WHAT; our HOW; and our WHY. WHY do we do what we do? Well, we’re passionate about Empowering Entrepreneurs to choose their own destiny by Educating Group Dental Practices how to Maximize Shareholder Value. And WHAT exactly do we do? We provide industry-leading resources to help you START, GROW, and SELL your Group Dental Practice or DSO. Kevin, Diwakar, and I didn’t want to build a business where people had jobs. There are plenty of those in today’s world. We wanted to build something worthy of our time that we would be proud to call our own. TUSK is starting to become that for us. We know what we are. And what we’re not. We know the types of clients we want to work with and we know the kind of people we want to work with us on our team. Most importantly, we have greater clarity around why we do what we do. And we feel strongly that empowering entrepreneurial dentists to choose their own destiny by educating them on how to maximize their value is worth doing. So, again, what are you trying to build…and WHY? If you’re interested in digging into your business at a granular level, then you might be ready to join us in our Charlotte office for a Full Day Deep Dive. The day is tailored to the needs of the client, but we teach some basic concepts out of about a 120-page deck that mirrors the agenda you can download here. And if you’d like to discuss any other topics related to trends in our industry, please feel free to contact me at Perrin@TUSK-Partners.com. TUSK provides industry-leading resources for Group Dental Practices and DSOs. We help our clients START, GROW and SELL their Group Dental Practice or DSO. For more details, visit our website or feel free to download our Overview of Services.